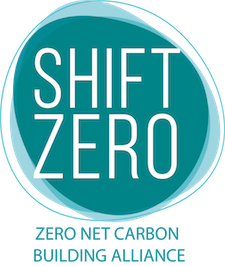 Shift Zero has joined the broad coalition of groups officially supporting I-1631. If your organization has not yet endorsed the campaign, now is the time to sign on! The initiative includes specific strategies for investments “…that increase energy efficiency in new and existing buildings, with a goal of creating carbon neutral buildings across the state”. 1631 is an opportunity for Washington state to lead with ambitious policy to tackle climate change. Let’s make it happen! Add your organization to the coalition: Endorse 1631. Get informed on the policy details. Write a letter to the editor explaining why you believe in 1631. Personal stories are powerful! For inspiration, check out this testimonial from Shift Zero member A&R Solar’s Bonnie Frye Hemphill. Social media: Follow Yes on 1631, @yeson1631. Go here to find messaging and photos you can share. Volunteer or donate to the campaign. The Guild is inviting Shift Zero members and allies to join their annual summer potluck where organizers from the 1631 campaign will share how to plug in. Bike Bus, Walk or Carpool and meet us at Woodland Park! Stand up for Jobs and Clean Energy with the I-1631 campaign!